Drawing is December 2, 2014. You do not need to be present to win. 100% of proceeds go to the BARS Scholarship Fund. The winner must be able to pick up the prize in person from BARS. 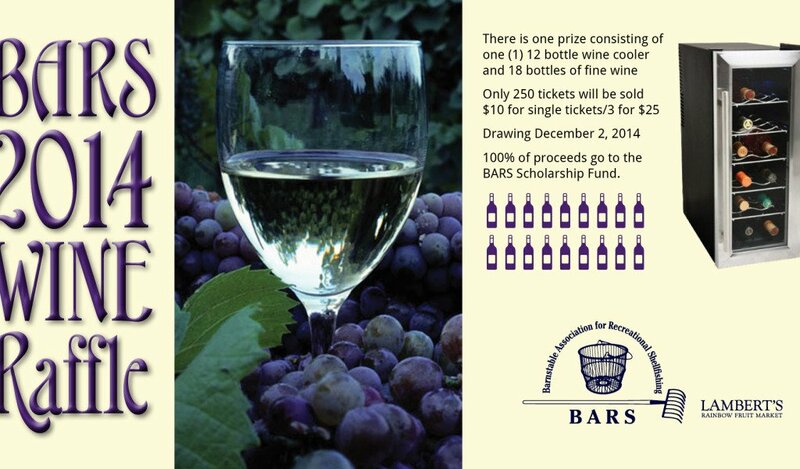 The winner of the BARS 2014 Wine Raffle will receive one twelve (12) bottle Haier wine cooler and eighteen (18) bottles of fine wine. The winner of the BARS Wine Raffle was Susan Quintiliani from West Yarmouth. Congratulations Susan!